Colder weather is sneaking up on the Twin Cities, but Saint Paul’s food scene is here to keep you cozy. We can’t deny it: Colder weather is on the way. 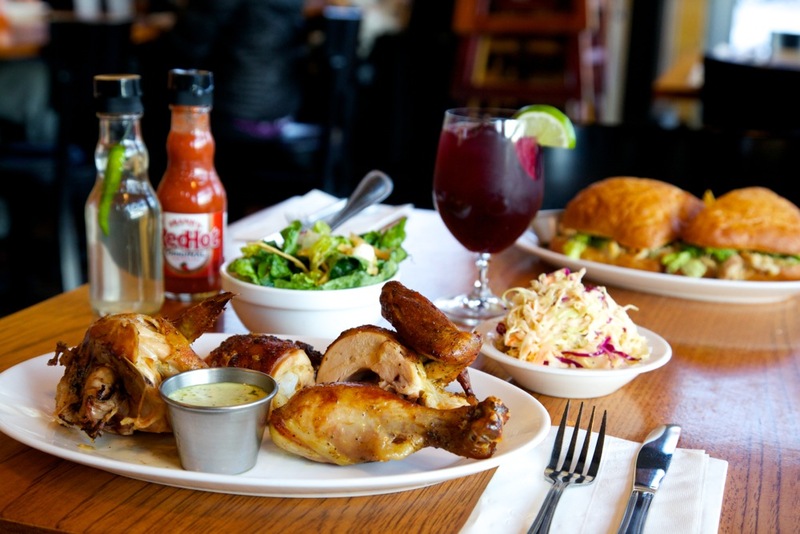 With a food scene such as Saint Paul’s, though, it’s not hard to keep warm (and eat well). From deep dish to grits and potatoes to pho, everyone has a different idea of what “comfort food” might mean; in that spirit, we made a list of some of Saint Paul’s dishes that will always be here for you. Sure, there are plenty of places to pick up a great slice in Saint Paul. But, if you’re going for some deep dish in the Twin Cities, stop by Italian Pie Shoppe. Minnesota is known for its wild rice, and you know that you’ll find a few restaurants that do this soup well. 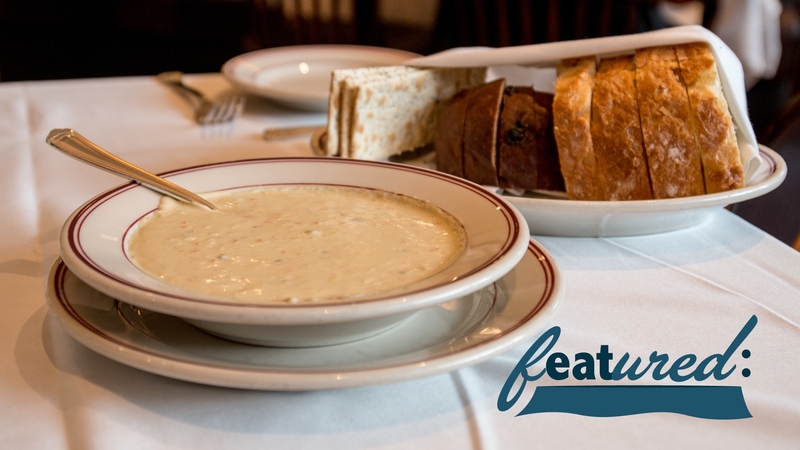 We highly recommend the St. Paul Grill’s Cream of Wild Rice Soup, though, for its high comfort factor. Find true sambusa love at Afro Deli in downtown Saint Paul. Nobody said you can’t make a meal out of these fried beef or veggie snacks. Although most of Brasa’s menu could be noted as some of the best comfort food in the Twin Cities, we’re all in for the sweet potatoes—and Brasa has two varieties. We can’t choose between the brown sugared candied yams or the roasted yams and andouille. 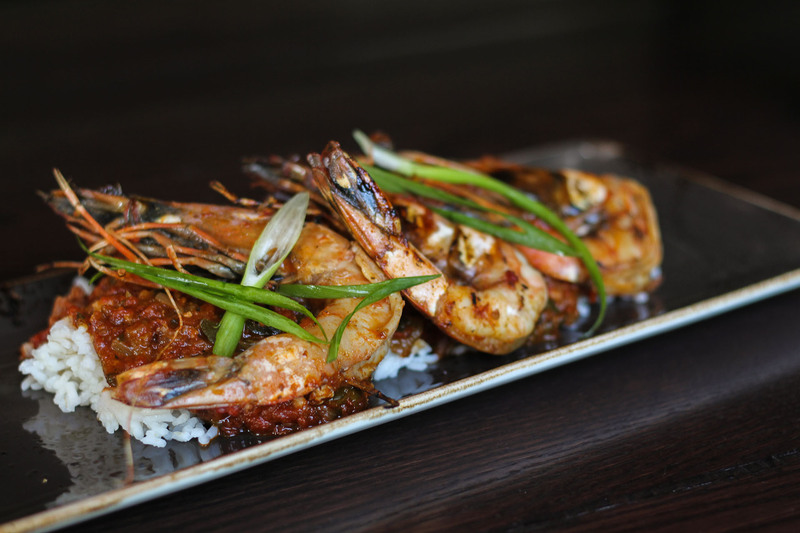 You’ll find a wealth of pho and Vietnamese restaurants along University Avenue, and Ngon Bistro is where we would start. Ask about the great date specials here, too. When Handsome Hog brought smoke and bourbon to Mears Park, it also brought some amazing fried chicken and waffles. Yes, you do need to try it. Take a trip to the East Side and make an order at Taqueria Los Paisanos. The prices are unbelievable, and the food is outstanding. 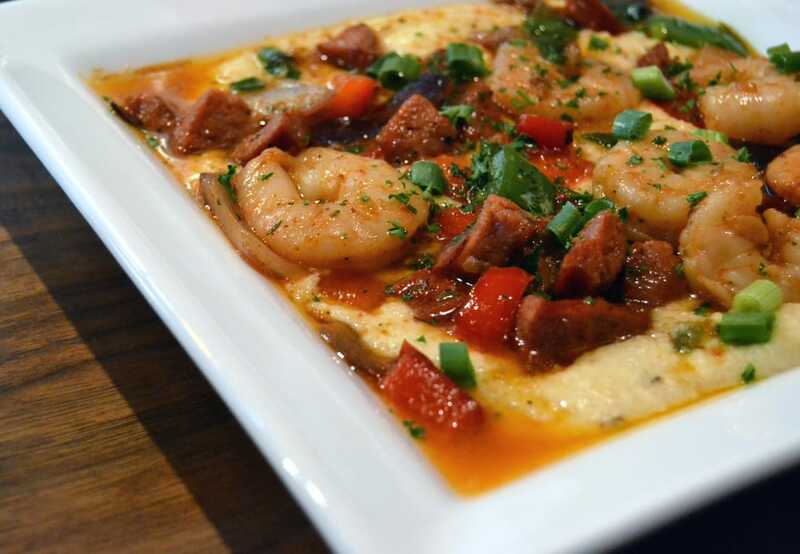 If a hot bowl of shrimp and grits fits your definition of comfort, then we’ll likely see you at Dixie’s On Grand. Don’t forget to try the gumbo, fried okra and biscuits, too. Clintons and Trumps drink free on Election Day in Saint Paul. Learn more. 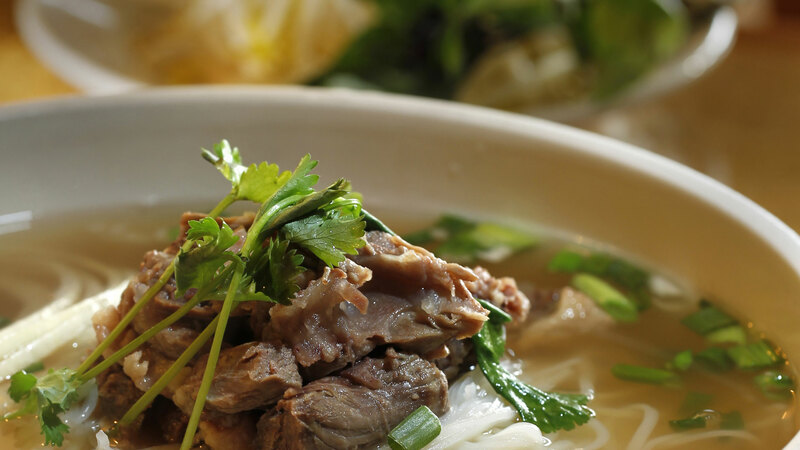 Read Eater's ultimate pho finds of the Twin Cities. Summit Brewing recently released its first coffee beer, Dark Infusion, for its Unchained Series. Saint Paul's first ramen-only shop opens on Selby Ave.
Read the Pioneer Press' review on Herbie's on the Park. 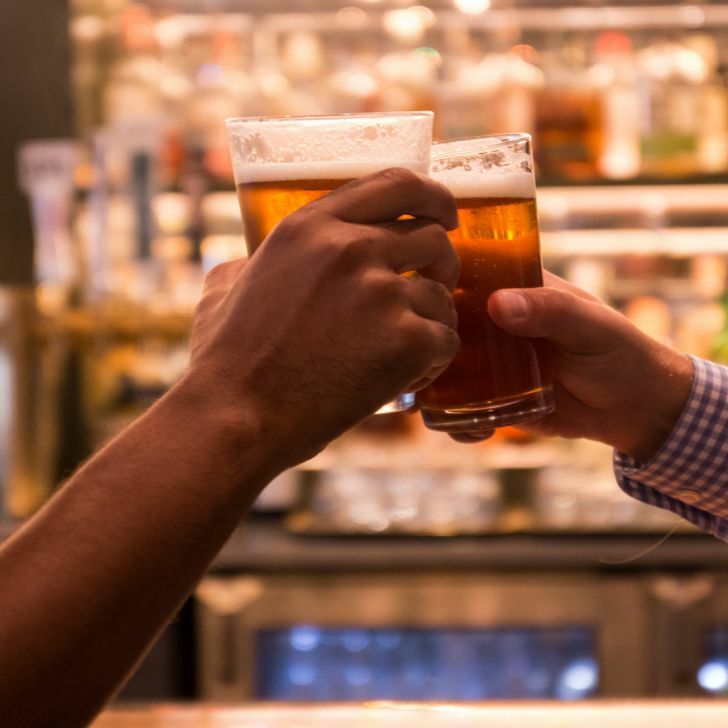 Cork’s Irish Pub: Happy Hour, Monday through Friday, 2-6 p.m. 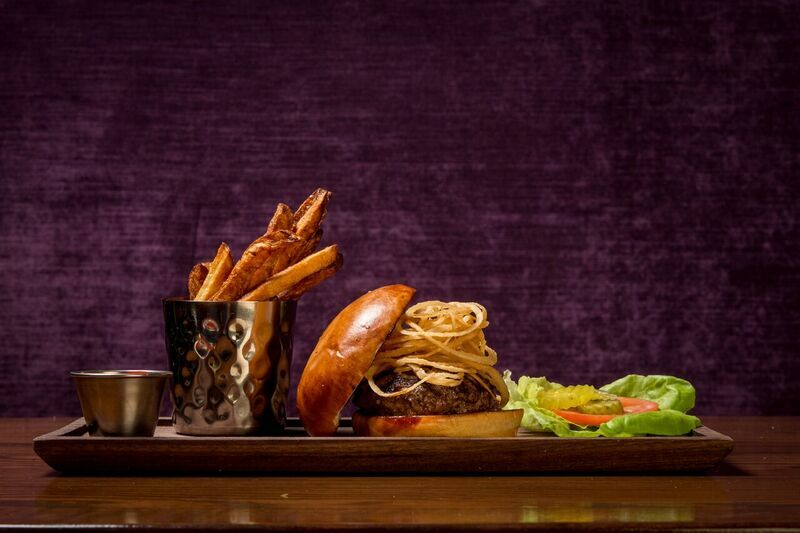 Half-price rail drinks, house wine, tap beers and appetizers. Cork’s also features an infused bloody mary. Anyone can say that they’re a foodie on social media, but when the state’s tourism department thinks you’re good enough to curate a food-themed week, you might actually be one. Meet Kat Peterson, a bonafide food photographer. One of Minnesota’s most widely-followed Instagram accounts is run by Explore Minnesota, the state’s official tourism office. 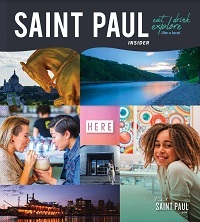 Kat Peterson, a student in Saint Paul, garnered her own following as a foodie Instagram account in the Twin Cities, and she was asked to guest curate the photos for Explore Minnesota for a week in October. We asked Kat about the experience. VSP: How did you get to become the guest curator for Explore Minnesota for a week? She told me about two weeks in advance and I couldn’t tell anyone. I wish I had been able to, though, just because I think it would have helped people who follow me prepare! It’s been difficult to find photos from all over the state, but I like seeing the variety and it’s been easier as the week went on. 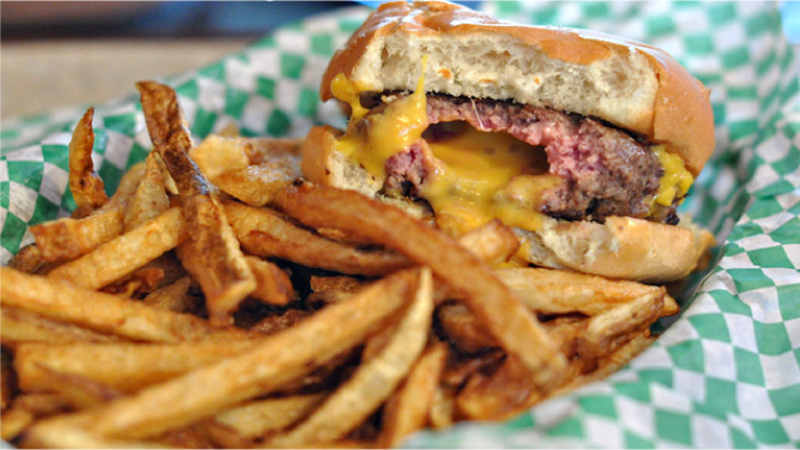 VSP: You live in Minneapolis—how often do you eat in Saint Paul? KP: Pretty often actually! 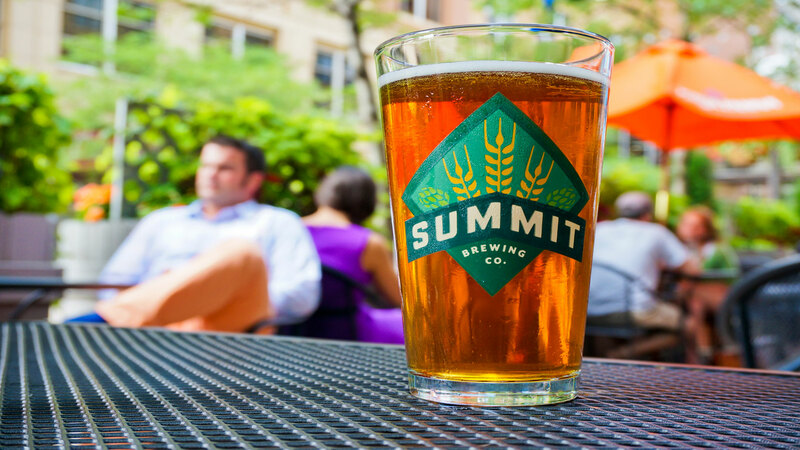 Saint Paul is really booming as a restaurant scene! I really love Tim Niver’s restaurant, Mucci’s, that just opened about nine months ago. They were the first restaurant that was featured (on Explore Minnesota’s Instagram)--it was actually my photo that was used in the guest curation. The chef there is one of my friends, and his wife works at Mucci’s, too. Saint Paul and Minnesota in general is really family-oriented, so I really wanted to focus on that for my first photo. That’s really Minnesota for me--that’s my idea of only in MN. (Their young daughter) is in that first photo, too, and she’s always, like, running around, so it captured what I wanted. VSP: So what brings you to Saint Paul? KP: I’m a student, and I go to school full-time in Saint Paul, and that’s played a part in my Instagram. It’s become my thing where every Wednesday, I go to lunch by myself at a new restaurant. VSP: That’s a cool thing to try! What are the last two that you’ve tried out, and what’s up next? KP: Oh, there are so many—let me think. I’ve been to Sole Cafe. Fasika. Those are both recent, right by University. I really want to go to Taste of Love Bakery soon… You probably know where that is better than I do. VSP: How has guest curating changed things? KP: I’ve definitely seen a growth in followers--that’s one of the things that’s really snowballed. Companies are reaching out to collaborate now, too. Another Instagram feed has asked me to take over their account, but this time, the photos all get to be mine. I was really feeling tacos, so I decided to go with a taco theme for that! VSP: So, how do you choose restaurants to feature on your own account? KP: Honestly, I gravitate toward restaurants that interact with me on my account. 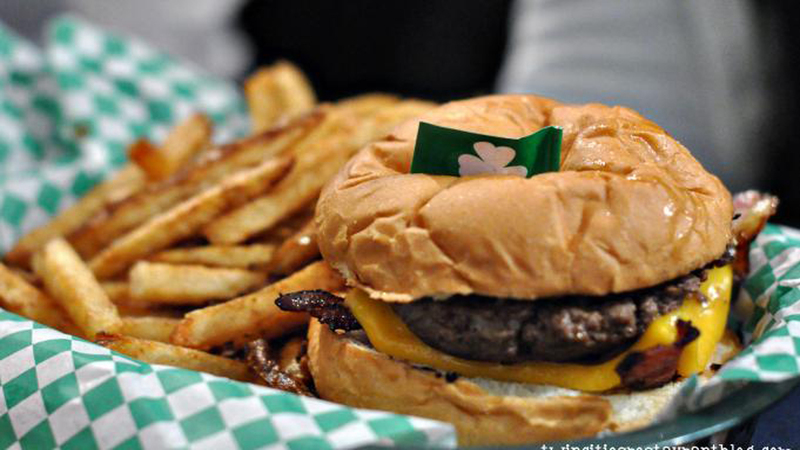 I like a variety of food, so like I’ll go on a kick where I want anything ethnic, any place that makes a burger. I like to keep up with new restaurants, too, and I like to visit those in about the second or third week that they’re open. VSP: What advice do you have for people who want to start a foodie Instagram account? KP: I don’t want to bombard people. I’ll go to a restaurant once and then post 3-4 photos a day. I like to go out to restaurants with friends--I usually get 8-12 photos when we go out. Learning editing is key. VSCO Cam is my personal favorite editing app--you can really take an OK photo into one that looks great. I also would look for people who go to the same restaurants as you and like the photos as you. Instagram has really been a great tool for me, and I invite people who I know on Instagram places. Like, I have a group of girlfriends that I’ve met all through Instagram, because I really try to follow people back and interact with other people’s accounts. We have a ladies’ brunch from time to time, and sometimes I’ll tell them, “Hey, I want to invite this person that I was talking to the other day!” It’s just a great community for that. VSP: Anything else that you’d like to add? 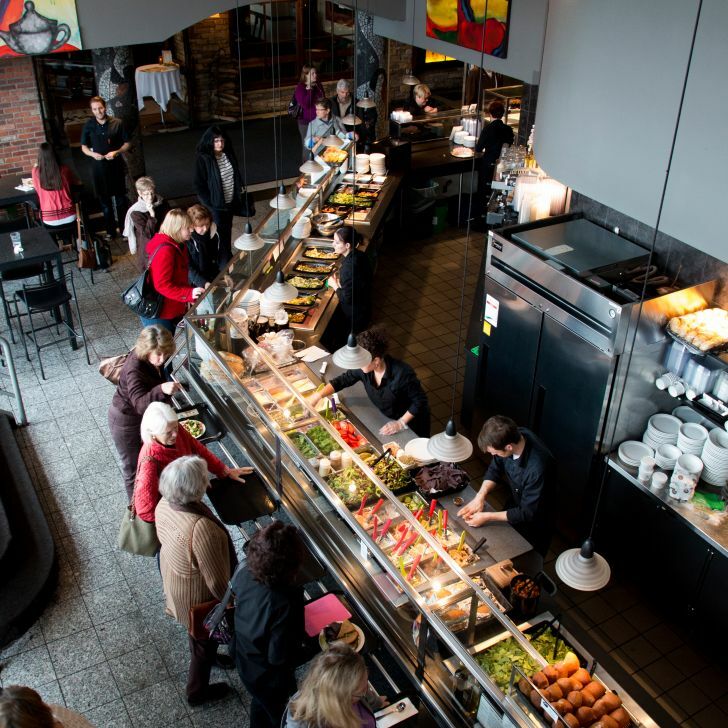 KP: Our food scene is so special--we really do compete with the big cities. We are like Chicago, New York or one of the big scenes when it comes to food, so it’s really cool to be able to promote it like that. Follow Kat as @kmlpeterson on Instagram. Photo by Mo Ashley. 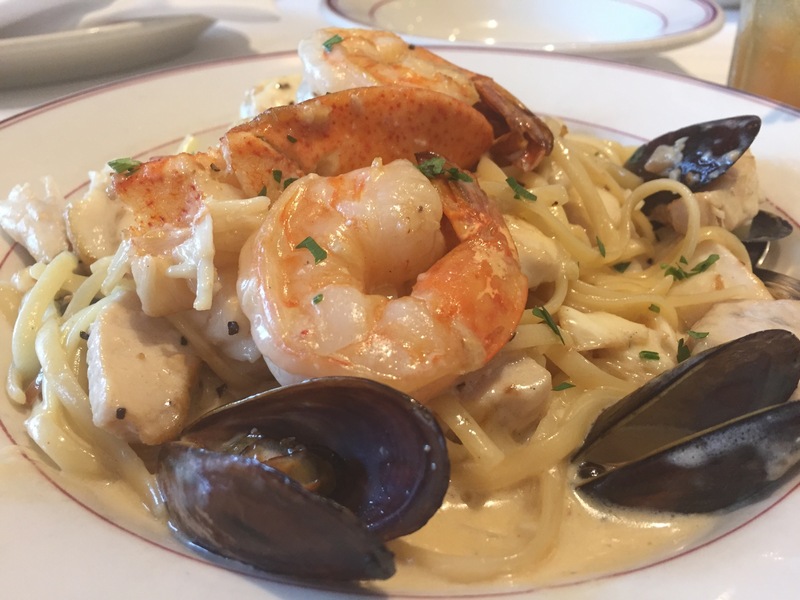 There’s plenty of pasta in the Saint Paul, and we know where to go when you’re craving carbs. From high tea to chai tea, you’ll find a cup here.